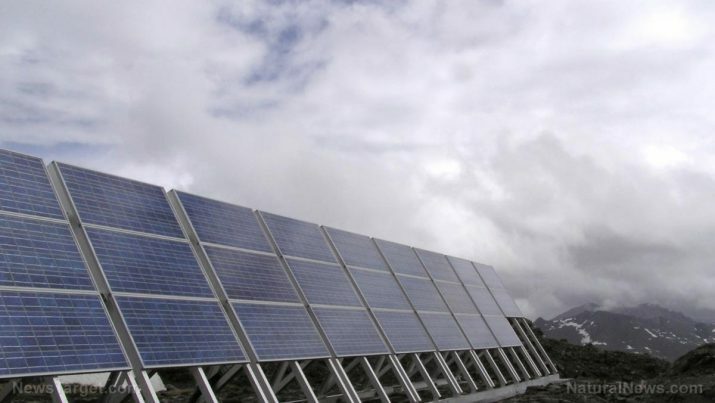 Solar power has finally come across a way to overcome one of its greatest weaknesses: Rain. In a Science Daily article, Chinese researchers presented a hybrid solar cell that can produce electricity even when it is raining cats and dogs. In addition to gathering power from sunlight, the new cell can also harvest electrical power from rainwater running across its surface. This makes it ideal for use in regions with frequent rains that hampered older solar cells. These earlier designs were too bulky for installation on rooftops, some of which could get quite flimsy. They were also too complex and expensive for true mass production. With this in mind, researchers from Soochow University started working on a new hybrid solar cell that could collect energy from sources other than sunlight. They settled upon refining the TENG technology. Zhen Wen, Xuhui Sun, and Baoquan Sun turned to a pair of polymers, PDMS and PEDOT:PSS, that are soft, pliable, and transparent under visible light and ultraviolet light. They placed these polymers on top of common DVDs and spun them around so that they could create imprints. The Soochow University researchers used these imprinted polymer layers to create a water-drop triboelectric nanogenerator device. The PDMS layer served as the triboelectric material while the PEDOT:PSS layer acted as the single electrode alongside silver. This very thin device was laid atop a standard silicon solar cell. When it rained, water would run down the face of the PDMS layer, causing friction that would be converted into electricity. The resulting electrons would pass from the outermost layer of the TENG device through the intervening electrode layer and into the solar cell. The imprinted texture of the PDMS later increased the surface area of the TENG device that came into contact with water droplets. It could generate more friction than a smooth surface, and therefore produce more power. The researchers recorded a peak short-circuit current of ∼33.0 nA (nanoampere) and a peak open-circuit voltage of ∼2.14 V (volt). Furthermore, both polymers were transparent, so they did not hinder the light-gathering capacity of the solar cell beneath them. In their study, the researchers remarked that their hybrid design successfully combined the high current level of a photovoltaic cell and the high voltage of a TENG device. The resulting hybrid solar cell can get energy from its surroundings come rain or shine. In addition, the simple design is highly suited for mass production. Both PDMS and PEDOT:PSS are cheap and widely-available, being made from silicon. The process used to imprint grooves into the polymer layers used off-the-shelf materials and methods that can be easily replicated and scaled up. The TENG device also takes up far less space and weighs much less than its predecessors. It promises to be easily installed on top of most solar cells, and the minimal size and weight increases are greatly offset by the advantage of having a steady supply of power during rainy days. The Soochow University researchers published their findings in the scientific journal American Chemists Society Nano. Find out more about the increasing versatility of renewable energy sources at Power.news.